"But the father said to him, 'Son, you are always with me. All that I have is yours too. We must be happy and have a party; because your brother was dead, but now he is alive. He was lost, but now he is found.'" When sinners come to salvation, celebration isn't optional! The angels in heaven celebrate. The Father celebrates. 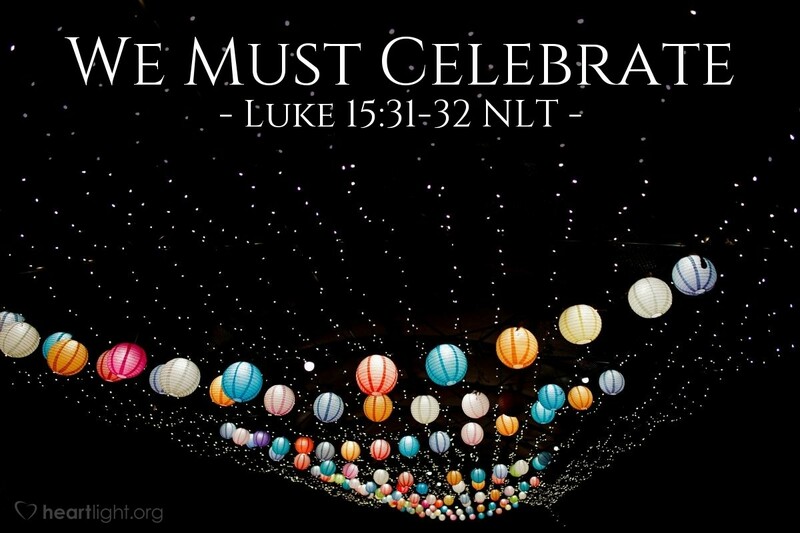 God's children must celebrate! Father, I pray for a great harvest in our day so that your people can bring you the joy of heaven's celebration and the lost in our world can come to know you as their Father. In Jesus' name. Amen.